Composer Michael Pisaro’s process, since at least 1992, when an affinity with the Wandelweiser collective became a membership, might have had its origin in a mind-stopping, serendipitous encounter at age 19. In 1980 Pisaro wandered into an outdoor performance by Cage at Lincoln Center, where he reports that crucial experience – I knew something was happening but had no idea how to describe it. I think Pisaro’s process – within composition, within Wandelweiser, within the current experimental music scene, and within the improbably vast nexus of concerts of the past 20 years – flows from that event, and we, as listeners, travel its trajectory with Pisaro, replete with our own experiences of that sort of confusion, a gift of the encounter with the ineffable. As someone who occasionally attempts to put words on similar events, I appreciate Pisaro’s further unpacking – 24 years later, in an essay published as Eleven Theses on the State of New Music – of that indelible encounter: It was, in short, an encounter with the event of Cage…something that cannot be accounted for by what is ‘known’ at the time: it is invisible to its time. 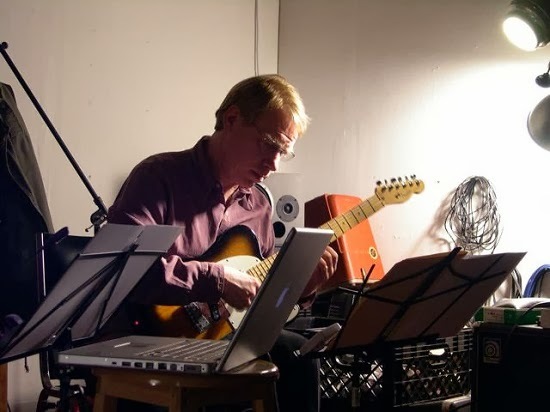 My initial encounter with the music of Michael Pisaro occurred in 2006, and I have adjoined some of my activities around music, such as they are, to his own. Since launching crow writing activities in 2010, I have written over 6,000 words about Pisaro’s work on this blog, and in The Wire; I have presented two Pisaro compositions in my concert series, including the inaugural crow event in 2011, the world premiere of A Transparent Gate, as well as Haptic’s realization of his Concentric Rings In Magnetic Levitation in 2012; and in a few weeks, Pisaro, along with composer Vanessa Rossetto, will close our 2013 concert series in his Minnesota debut performance. I feel now I have made some sort of response to a question asked of me three years ago when I attended a local jazz event, and a musician said, Who is this Pisaro you’re going on about? If these aspects of Pisaro’s process weren’t sufficiently persuasive, there is the most essential quality, for this listener, of all – again, Gertrude Stein: the first hope of a painter who feels hopeful about painting is the hope that the painting will move, that it will live outside its frame. Pisaro’s music lives outside its frame, in the flow of my own life – his work cannot be managed by frames, it is too fecund, assured and, crucially, unmoored to fixed ideas about composition or, needless to say, but worth saying anyway, success. Pisaro regards composition as a stopping point as opposed to an endpoint. Flowing, as he does, from one piece to the next, intuiting his materials from outside the framing device of composition, he seems to regard himself as much as a host (his term) to archetypal ideas and forces, as he does their author. Pisaro might describe his efforts of the past 21 years as a continuum; I hear them as mandala – there is a specific, meticulously composed geometry to mandalas, but they are, to the active participant, living, experiential, and without frames. They are highly participatory, a quality I find in Wandelweiser music generally, and Pisaro abundantly. 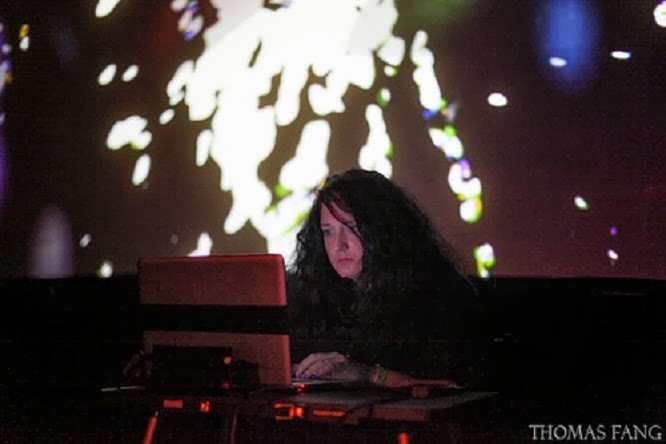 Vanessa Rossetto has, remarkably, been working on her music for only about seven years; I am confident the listener would not guess this listening through her process from the self-released recordings of 2008 that brought her to my attention, to last year’s Exotic Exit. You’ll find a couple of thousand words about her on this blog; I am especially excited to present her in concert with Michael Pisaro, as she seldom appears anywhere, holding fast to her self-description as being not an improviser or performer, but a wandering ear, a descriptor attributed to Luc Ferrari. As divergent as their respective sound worlds are, Rossetto and Pisaro share some distinct, overlapping characteristics. Part of Rossetto’s process has been the gradual integration of voice and text into her concrète works, somehow adhering, even with these immediately recognizable elements, to making the invisible only a little less invisible. While Pisaro frequently achieves this with sine tones, Rossetto appropriates conversations, street noise, and other location recordings, and through obsessive assemblage, creates a narrative without a specific center, author, or event. In both composer’s work, there is a sense of what R. Murray Schafer called self-caseura, what in zen is referred to as the unlocatable self. This is your way into the musical worlds of Pisaro and Rossetto – they offer not fixed works for your reaction, but environments in which you enter, moving and living inside and outside the frame. When asked about entering the environment of Cage compositions, David Tudor said I feel alive in every part of my consciousness. Rare are such environments, musical or otherwise, and I am grateful for the music of Michael Pisaro and Vanessa Rossetto. The final scheduled event in the 2013 crow with no mouth concert series is October 19, at Studio Z in St. Paul, the Minnesota debut of composers Michael Pisaro and Vanessa Rossetto. 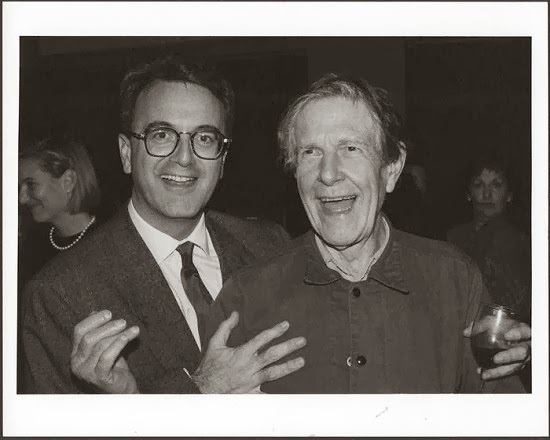 Photo of John Cage, NYC, 1980, the time and place of Pisaro’s initial encounter with the composer. the unlocatable self is an essential buddhist principle; I have been helped in my understanding of interdependence and emptiness by the writings and course offerings of the long-time Minneapolis-based zen teacher Steve Hagen. This entry was posted in music writing on October 1, 2013 by jessewgoin.